A young man who wore a T-shirt with an anti-gay message to Saunders Farm's Halloween activities this weekend has prompted an Ottawa police investigation. On Saturday Whitney Martin and her friends alerted staff when they saw a man in the farm's tavern wearing a T-shirt that said, "If you are gay, don't approch [sic] me - I'll kill you." "​We kept thinking, 'I can only imagine that there's someone here tonight who might see this shirt who might identify in the gay community, who might be thinking about coming out or might be struggling with their sexuality," she said. Saunders Farm co-owner Angela Grant Saunders said an employee asked the man to cover up. When he refused, staff went to police hired to work the event to have him removed, but by that point he had left. "It's a very, very blatantly hateful and very threatening message," Saunders said. "When something like this happens, it's absolutely discouraging and disgusting...That is not representative of who we are, nor what we believe. It is a threat on a T-shirt and I don't want it here." Since the incident, Saunders and Martin have been circulating a photo of the man on social media. 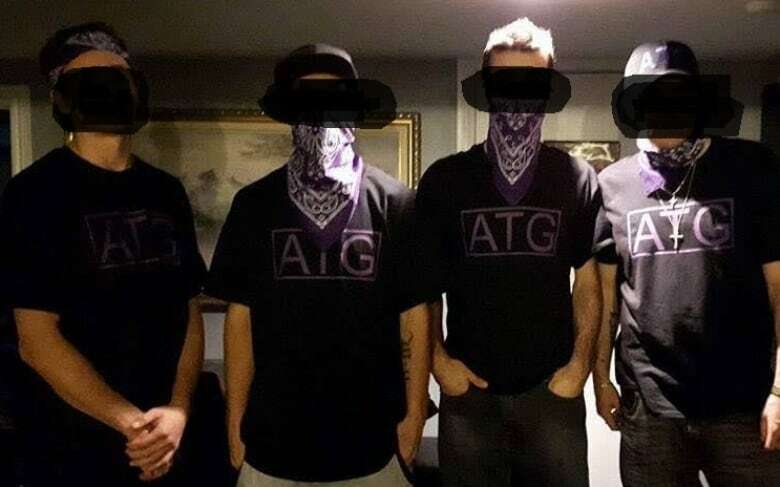 A Facebook post from Buckingham, Que., shows a group of four young men wearing similar T-shirts. "It's quite frightening," Martin said. "My friends and I keep talking and saying, 'This is Canada and this is 2016.' We never imagined we would see even one shirt like that." Ottawa police said the matter is under investigation and they have no further comment at this time. Gatineau police said they have also been made aware of the group.